Companies that take the time to understand their competitors, build a solid sales infrastructure before investing in training, establish clear territories for their sales reps and make sure their quotas align with goals will have a 300X+ better chance of making their sales goals. We can help! 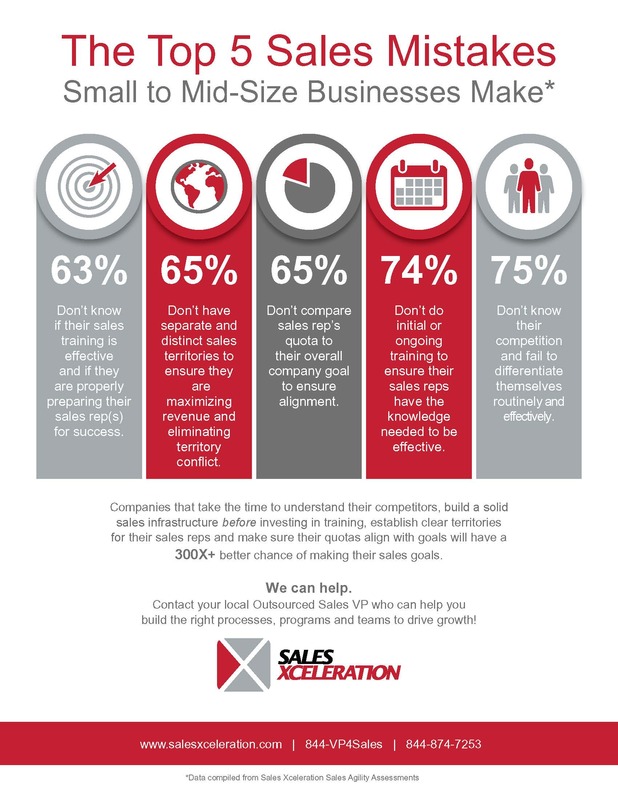 Contact your local Outsourced Sales VP who can help you build the right processes, programs and teams to drive growth! Now What? A Story of Life Beyond Corporate Sales Success.